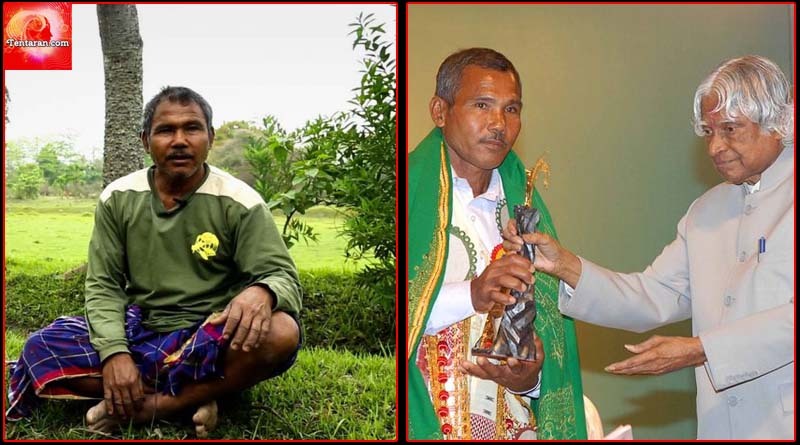 Jadav Payeng was 16 when the flood hit Assam and he observed that the flow of migratory birds was gradually declining to the forest areas and wetlands near his home and snakes were disappearing in large numbers. He started planting Bamboo in an area of 1,360 acres that had been washed away by floods. Today, that same land hosts jungles called Molai Forest, named after Jadav “Molai” Payeng. The Molai Woods are a phenomenal achievement for mankind. The forest is located in India’s Assam region, in the Brahmaputra River. Payeng then alerted the forest department to request that they grow trees there which were washed away after flood, but they insisted nothing would grow. As he recalls “It was painful, but I did it. There was nobody to help me. Nobody was interested”. The forest now houses five Royal Bengal tigers, over a hundred deer, wild boar, more than a hundred vultures, several species of birds, including pelicans, four greater one-horned rhinoceroses and many snakes with a herd of 100 elephants visiting every 3-4 months. Now in his mid-fifties, Payeng has spent over 30 years of his life changing the landscape of 1360 acres of India. He shows a deep understanding of the ecological balance of life which has enabled him to create this incredible self-functioning forest entirely on his own. His huge accomplishment shows what a person can achieve if they have the passion to fully commit themselves.